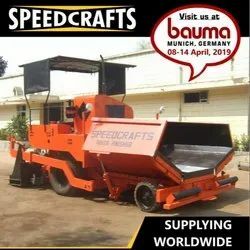 Our product range includes a wide range of speedrafts asphalt pavers, speedcrafts asphalt paver finisher, hydrostatic sensor paver finisher and speedcrafts wet mix paver. 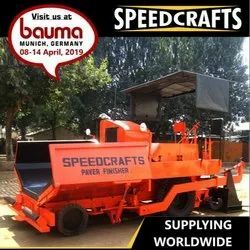 Symbolic to all the success that we have acquired in the industry, remains our status as the leading manufacturer and supplier of a wide range of Paver Finisher. Widely used for paver designing, this finisher is manufactured under the vigilance of our adroit professionals using modern technology. The provided finisher is rigorously tested by our quality examiners against different quality measures. Besides, this finisher is available at pocket friendly prices.